It's hard to take your eyes off these fiery cardinals, with their spectacular shade of red, sharp crests, and pointed beaks. 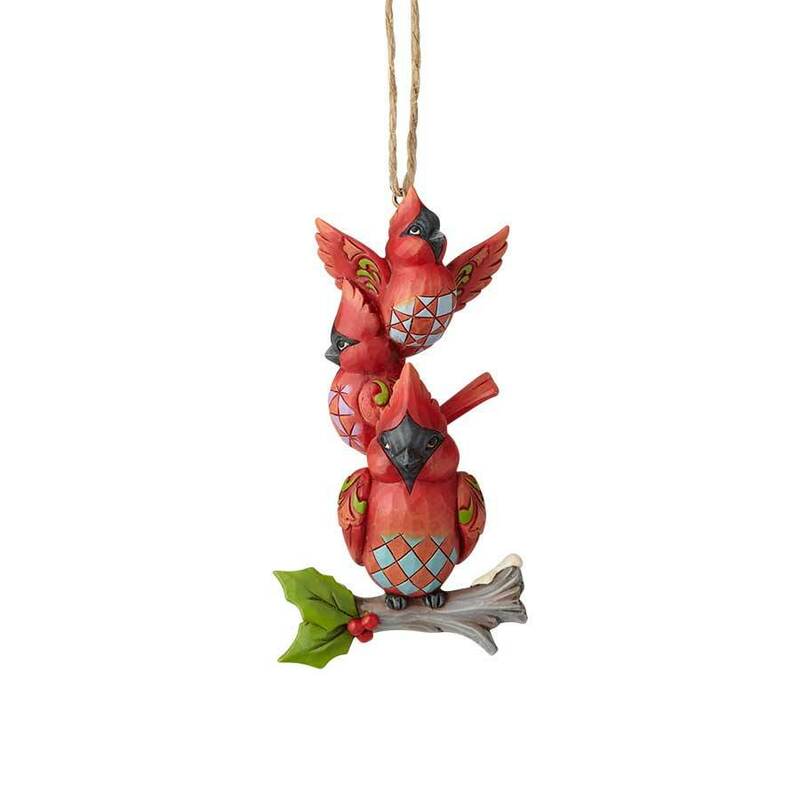 Jim Shore's playful use of color and unique mix of folk art motifs bring a touch of whimsy to the stacked ornament design. I am extremely disappointed in this item. 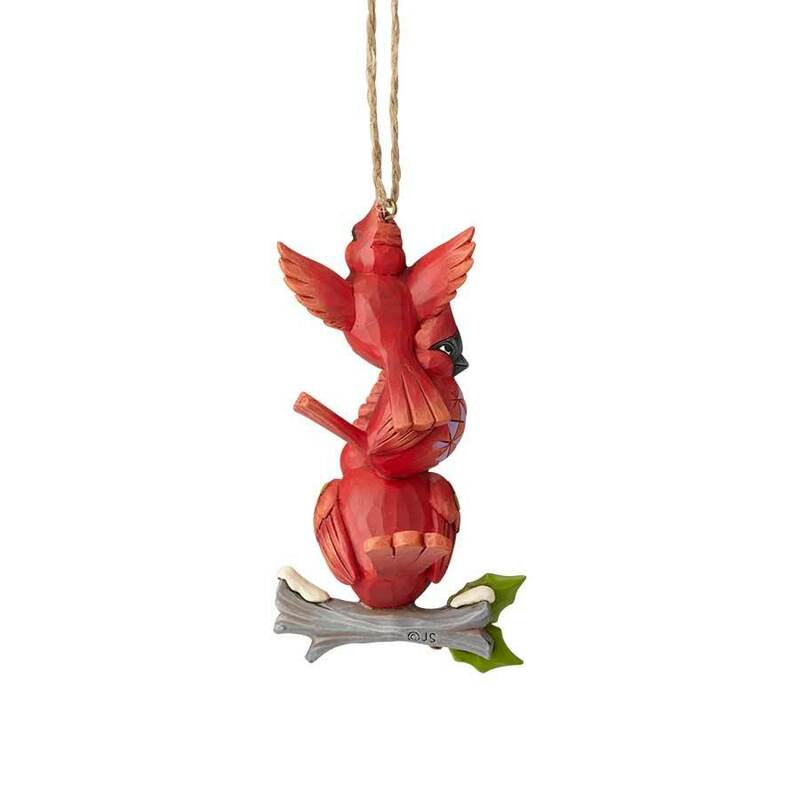 Jim Shore ornaments have historically been high quality items. This one seems cheaply made of thin plastic and is rather opaque. Not happy with it at all. Beautiful & the cardinals are so cute. I like the progression of the cardinals. the first one looking straight ahead. the second in profile, & the third ready to fly away.